Let's start 2018 with a bang in the form of 15% discount on everything in the Evlear Spread Store. Use code: 15OFF18 between the 22nd and 25th of February 2018 to claim your t-shirt or hoodie from a limited supply. We love giving back and offering all those that love what we do, a chance to show your appreciation by buying our merchandise to a discount. Because, we love giving you the best deal possible and this time we have an amazing oppurtunity to save some money. 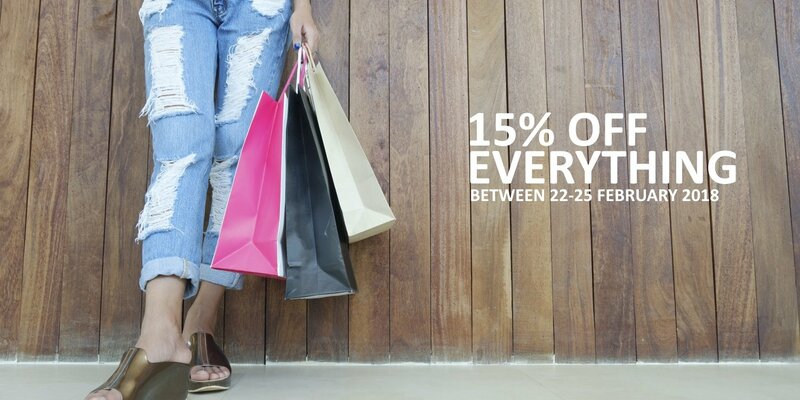 This means you can purchase as many t-shirts or hoodies as you want and get 15% off everything. This offer is time limited so be sure that you remember the dates. Buy any items in the Evlear Spreadshirt Shop and use the code 15OFF18 when you checkout to get 15% off everything between the 22nd and 25th of February 2018. Do note that this offer cannot be combined with other codes and cannot be used for gift cards.